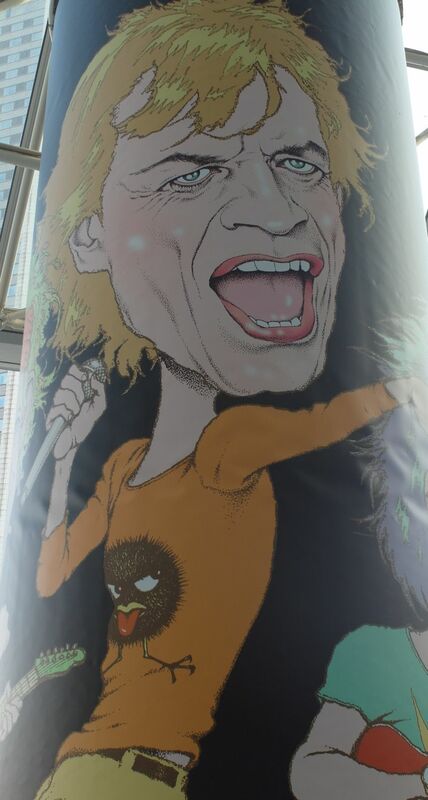 Seeing the Stones in Japan is always a blessing because the audience is so "connoisseur", so focused, so "professionally fanatics" and ... friendly. All the more reason not to miss the point on Tokyo 3. Tokyo 3 was actually the Stones saying bye bye to Japan for real. I mean forever. Maybe it was just in my imagination but there was such a strong feeling of farewell party. 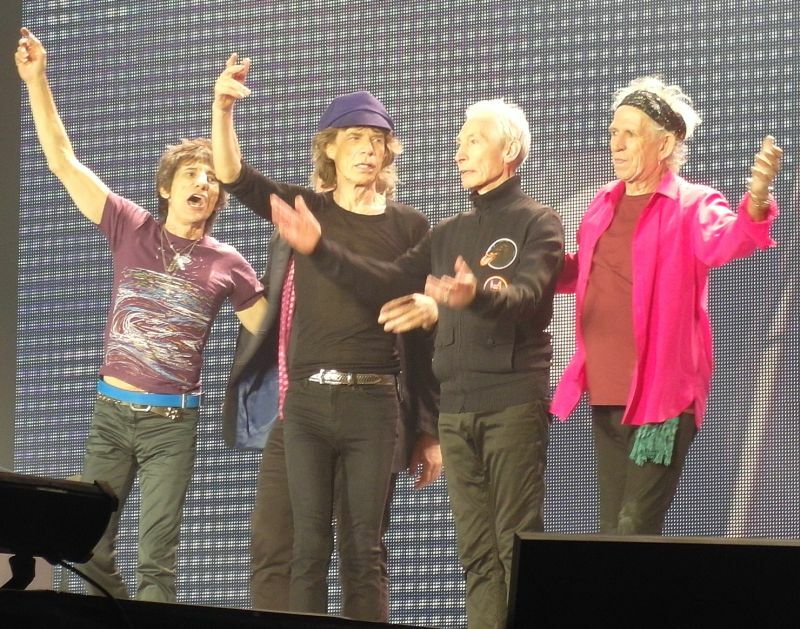 The audience knew it, the Stones knew and then suddenly, there were no more Stones on stage + an audience... but rather a big mega party that nobody wanted to see ending up. Total fusion and some very special moment at the end of the gig. 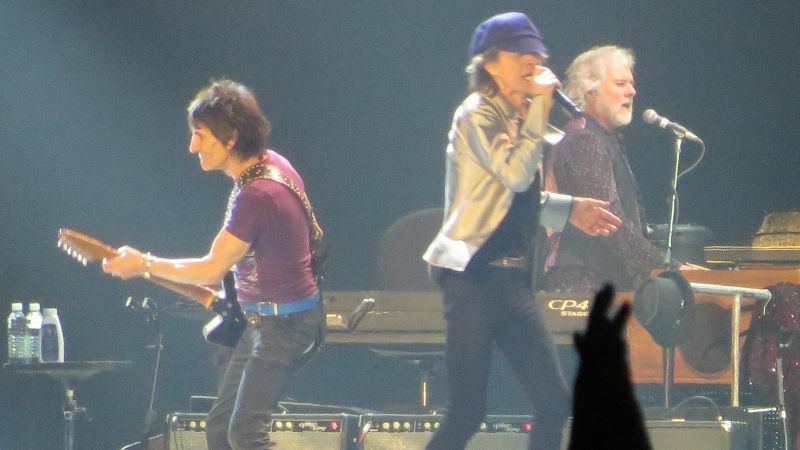 Especially on Brown Sugar, YCAGWYW and Satisfaction, Mick was so full of energy he could not get it all out and even Keith was looking at him with amazement. What a Fantastic night! 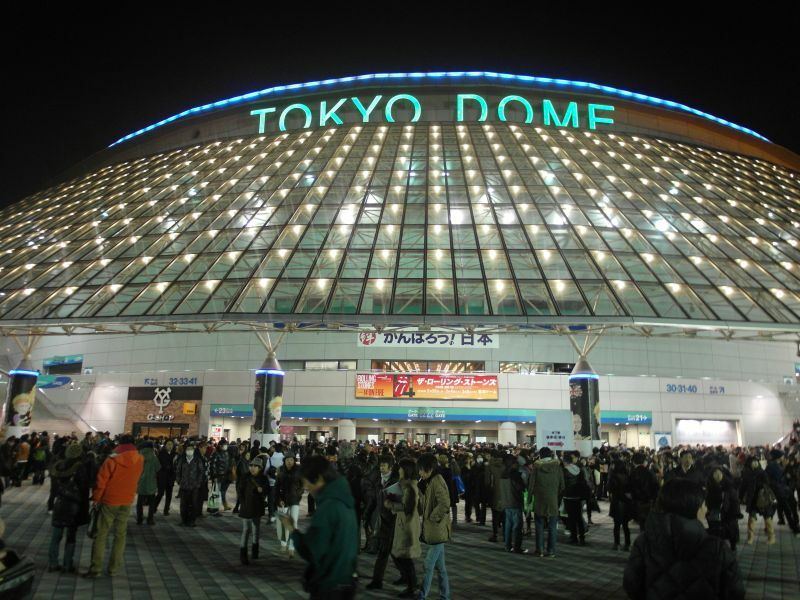 There were 3rd show in JAPAN at Tokyo Dome. At first,They played 4 songs on rehearsals Ruby Tuesday, Respectable, All down the line and Doom & Gloom. I was feeling that Doom & Gloom was instability at second show. especialty, Mick's could'nt sing very well. I thought, Mick is doing his practice and review. Then, Doom & Gloom was so cool at 3rd show. 3rd show's highlight was Respectable. 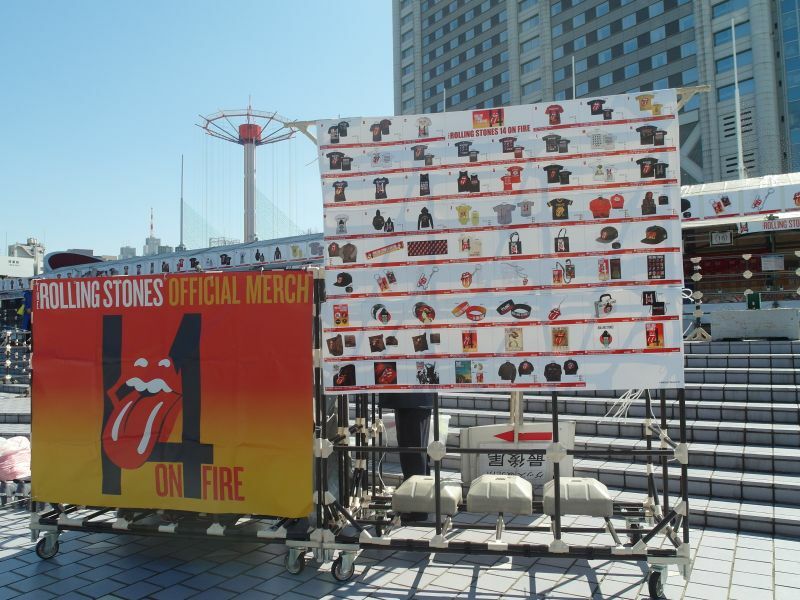 Because ROLLING STONES played with a guest at first time, in JAPAN. A guest's name is Tomoyasu Hotei who famous guitarist and singer in JAPAN. I was dreaming, Japanease musician playing with STONES. I was so happy and honored. 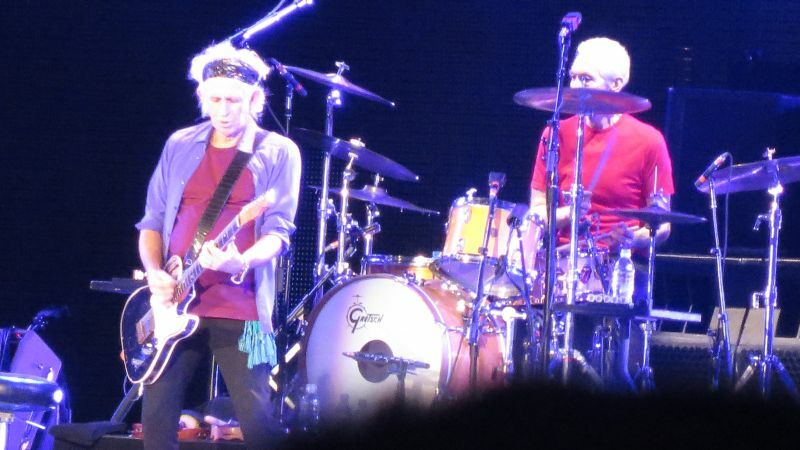 Midnight Rambler was so cool and so powerfull. Especiality, MickT did play a guiter better than 50 counting tour. This is just my opinion. So,Last number "Satisfaction" was a little bit long virsion. Maybe, Mick was runnning, shouting,crazy dancing, anyway, He's not stopping Forever! I thought. 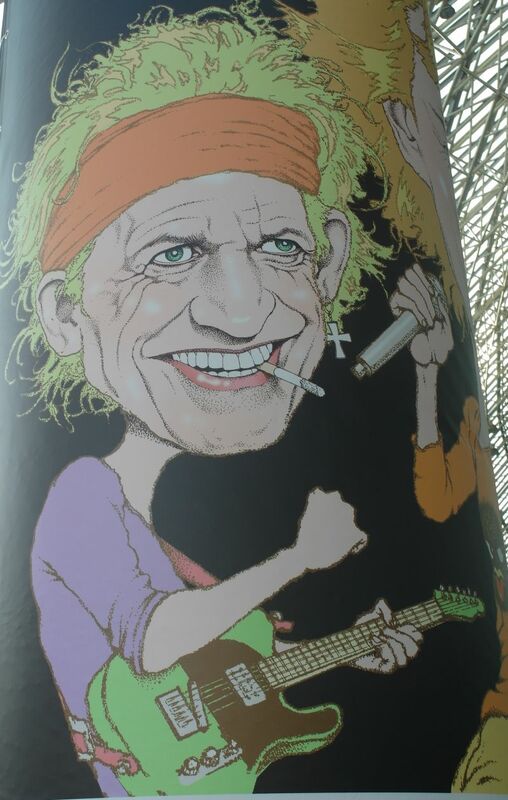 Next day, I went to a Haneda international airport who I wanna thank you to THE ROLLING STONES and Bobby, Darryl, Lisa, Bernard, Tim, Chuck. 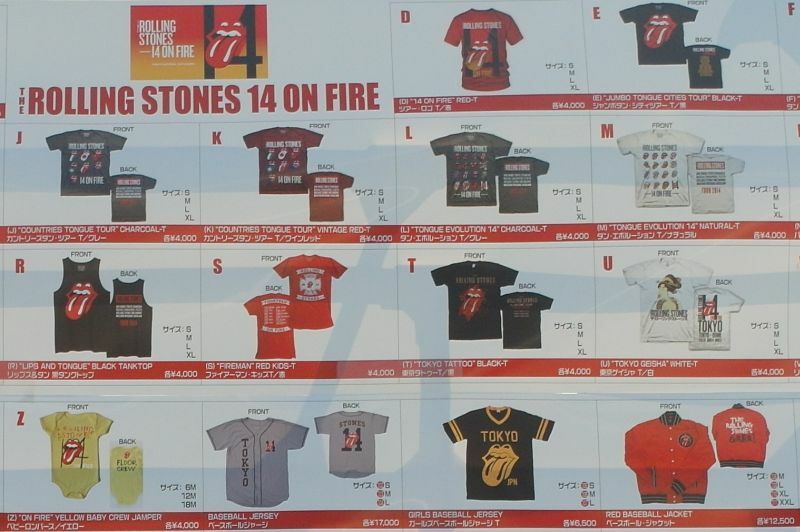 Unfortunately, We could not meet STONES, But We could meet support members. 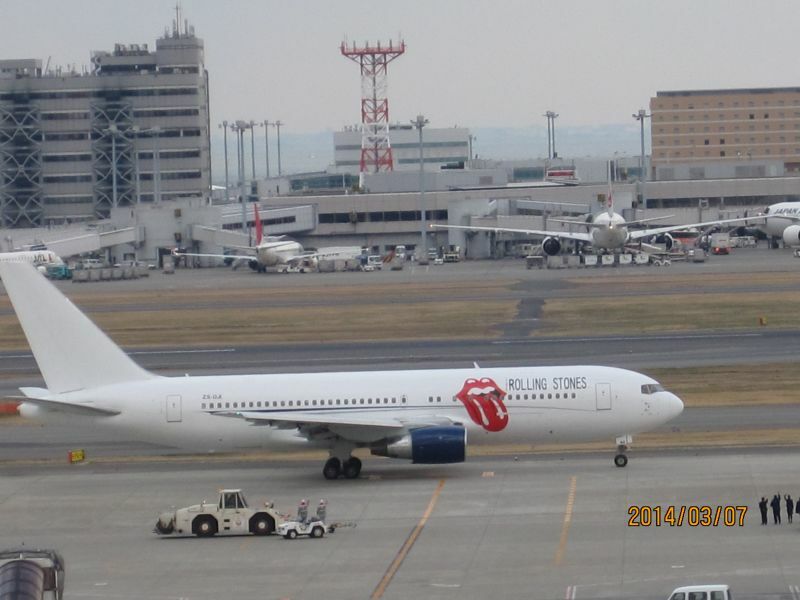 THE ROLLING STONES jet was leaving to MACAU from Haneda international airport. 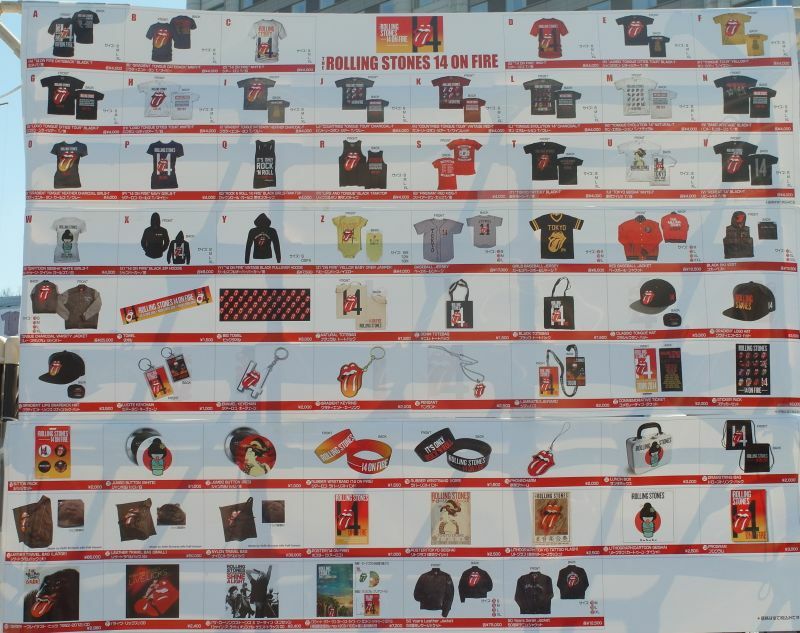 See you soon THE ROLLING STONES. Our Proud. Let me start out by mentioning my tight, but successful travel schedule in getting from Chicago to Tokyo in time for the concert. Successful, thanks to the help of many of you on the IORR board. I left Chicago at 12:15 on March 5; the plane departure was 90 minutes late due to weather in Chicago. However, the arrival in Tokyo at 15:45 on March 6 was only 30 minutes late. I sailed thru customs with no waiting at all. I waited long to use the ATM than I did at customs. I boarded the Narita Express for Tokyo at 16:44, arrival at 17:44. Two subway trains and a short walk had me at the hotel at approximately 18:10. I just want to thank all the IORRs who took the time to give me detailed instructions and suggestions on which trains to take, the exit out of the subway and for the walk to the hotel. Literally, every step of the way was accurate. As for the show... I was expecting another opening number of SMU, but when Keith hit the JJF riffs as the lights exploded, I was hopeful for a big night. Ruby Tuesday was a big surprise, maybe the highlight of the night. I also enjoyed Slipping Away. I bet I heard Keith do BTMMR at all six of my "50" shows, but I really like the song. The Japanese special guest on Respectable, Hotei, was a big hit with the fans sitting near me. Mick's comments in Japanese throughout the show were also well received by the fans. I thought the band sounded great. Sure, there were some slip-ups and I must confess I don't have the musical ear to catch the mistaken chords that have been described in various threads. I thought Lisa's solo on GS was not as powerful as I have heard in the past. I thought Brown Sugar was very well done as a first finale. I have heard them blow thru BS when it's in the Warhouse Countdown section of the show, but they really seemed to put some energy into it tonight. I think it was during Bobby's solo that Mick ran from the LF corner (baseball) to the RF corner of the Dome. I don't think I could do that... not that I'm all that young anyway, but I'm not 70. Two more shows for me, Macau and Shanghai. I'm glad I got to see one of the stadium shows on the tour. I really enjoyed the arena shows from the "50" tour, so it will be nice to get back to a smaller setting.